The words and actions from the PNC-led coalition Government remind us of the typical schoolyard bully. He seizes your space and refuses to move. Mr Granger and his Government continue to cling to power in defiance of the constitutional stipulation. Why such desperation and manoeuvers when they can go to elections and get a new mandate? Having bullied, bribed and bought their way to power in 2015, they know they’re not there by the will of the people. PNC having never won an election, and even combined with six other parties could not have won without fake Standard Operating Procedures (SOPs), agents planted within GECOM, and the aid of the ABC countries. Their continued hold on power and existence depend on depriving the people of their democratic right to elect a Government of their choice. Will they give up office when they lose the election? So what did they do after gaining power? Increase their pay to hold themselves together in crime. Build a wall around the seat of power. Neutralise, control, and manipulate constitutional offices. Install army buddies to head Government departments. Persecute the Opposition and try to destroy its support base. Plunder the treasury to reward and enrich themselves and enablers of the dictatorship. With the focus on entrenching a dictatorship, the people, their wellbeing, or will, found no place on their list of priorities. The witch hunt and persecution of PPP/C members and efforts to neutralise that party were more important. With the defeat by a no-confidence vote, the coalition’s evolving dictatorship plan is shattered. They didn’t think they would have any use of the voters and so they didn’t think they had to keep promises made or attend to their welfare. The no-confidence vote has put a jolt to their callous actions and schemes. They know how they gained power and its loss would be permanent. There was inadequate time to fix the façade for PNC dictatorship and insulate themselves in power and against prosecution for crimes against the people. So they are desperate for more time. The desperation to hold on to power makes them insensitive to the absurdity of their behaviour. Their reasoning or lack of it on their predicament shows how unfit they are for the office they occupy. It is time to accept that it is post-’92. 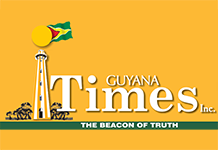 Bullyism, dictatorship, and hatred cannot build Guyana and give its people the good life. The coalition is trapped in its web of lies and deception perpetrated on the nation. They need to realise Guyana has moved beyond the PNC-style dictatorship of pre-92. Post-92 freedom is better. Let the people speak and elect a party that is dedicated to the whole nation.